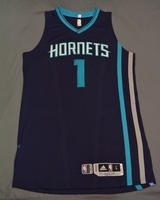 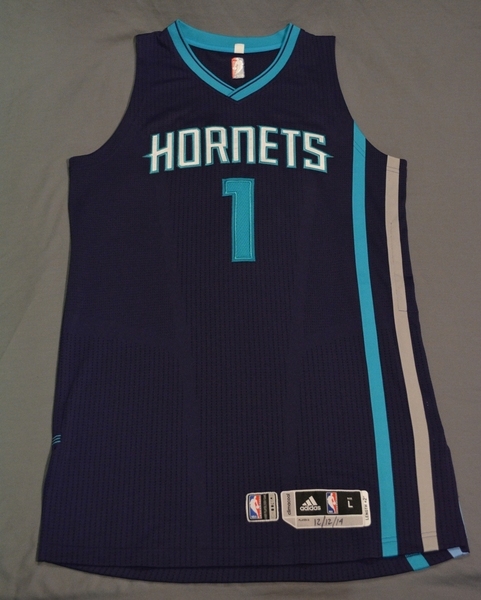 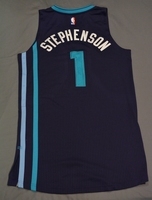 Stephenson wore this jersey during the Hornets' 113-107 loss to the Memphis Grizzlies on December 12, 2014 at FedEx Forum in Memphis, TN. 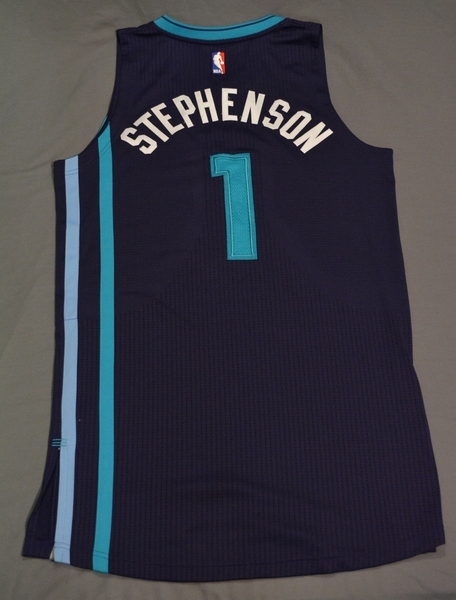 He played 28 minutes and registered 8 points with 7 rebounds. 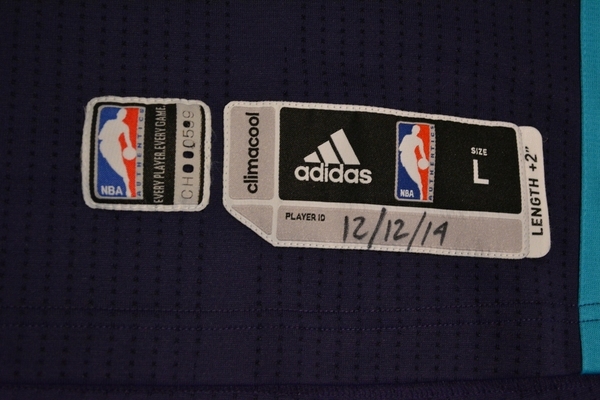 "12/12/14" has been handwritten on the jock tag.